Another recommendation: China's Second Continent: How a Million Migrants Are Building a New Empire in Africa by Howard French (a former Africa and China correspondent for the NY Times). This is real boots on the ground reporting. French (a Mandarin speaker) spent time with Chinese immigrants across Africa, from small shopkeepers and farmers to real estate moguls and high government officials. Reviews: WSJ, NYTimes. An interview with French on the Sinica podcast. Exactly how exploitative are Chinese development activities on the African continent? What exactly is motivating the various resources-for-development deals inked by African governments over the last decade, and what strategies are these governments now adopting in the face of power imbalances with China? 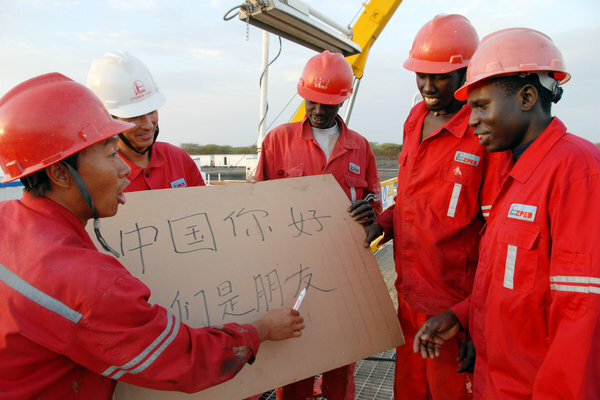 What is driving the mass migration of Chinese workers to the African continent, and why does everyone from Senegal seem to come from Henan? This week on Sinica, we ask these questions and many more as Kaiser Kuo and Jeremy Goldkorn are joined in conversation with Howard French. If you've spent a while in China, you may have heard of Howard as the author of a well-known book on Shanghai's architectural legacy, and lecturer on the subject. What you may not know is that he is also an expert on African development, and the new author of China's Second Continent: How a Million Migrants Are Building a New Empire in Africa. I wonder whether French is familiar with Galton's famous (and very politically incorrect; written in 1873) letter Africa for the Chinese. In some respects Galton is eerily prescient. How does one say "Lebensraum" in Mandarin?